Stories and fairy tales have an important meaning during childhood, but we usually forget about the magic and happiness, and responsibilities take over. 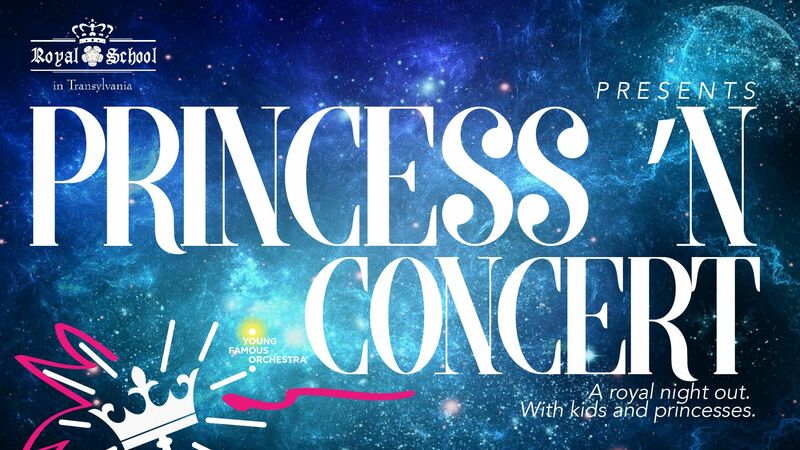 Royal School in Transylvania presents PRINCESS ‘N CONCERT – A royal night out. With kids and princesses. A concert dedicated to the entire family, where childhood stories come to life, to everybody’s excitement. All fans of the characters will enjoy a fantastic music show inspired from cartoons. The program presents parts of well-known soundtracks. The event also has a dress code for children and parents – a unique chance to dress as a prince or as a princess, transforming a usual Monday evening into a magical one. After all, in each one of us there is a prince or a princess waiting to be discovered. Monday, 30 October 2017, from 19:00, you are all invited to join us at this special event, a classical music concert, alongside Vlad Agachi and the Young Famous Orchestra. The Orchestra has invited Cătălina Roibu (voice), The Beat – music school with some of their talented children and David Todoran – from David & Six Martini. The event will take place in Auditorium Maximum and tickets can be bought on eventbook.ro and Florin Piersic Cinema.